The son of two licensed agents whose dinner discussions consisted of principals of ethics, clients’ needs, and how to negotiate a deal, Brian developed a passion for real estate at a young age. You could say that it’s in his blood. 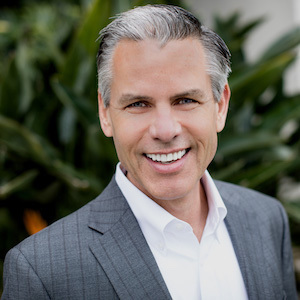 As a San Diego resident since the age of 7, Brian has strong ties to this community, maintaining a broad understanding of the clientele and housing market. Brian—together with his wife, Jenny, of 35 years—has been involved in numerous events and serving opportunities to support the community in which he considers himself fortunate to live. “ I can’t possibly recommend Brian Axford enough! Brian is not only thorough, dedicated, and professional, he is also trustworthy, honest, and ethical at all times. As an Army veteran I can also add that Brian is extremely veteran friendly, and I would recommend to any veterans to only do business with Mr. Brian Axford! “ - Kelsey. Brian offers clients the real estate expertise, negotiation skills, and cutting-edge marketing techniques that have been honed over the course of his successful career. He values providing remarkable customer service and communication to his clients, striving to create a stress-free and fun environment for buying and selling a home. Based on his extensive experience in business, domestic investment, and destination real estate, clients can put their trust and confidence in him. Through the development of strong client bonds, Brian has built a business almost entirely on referrals; his business production rated in the top 10 percent of his previous company. Whether representing a first-time buyer or an individual selling their third property, Brian puts clients’ minds at ease by approaching the process with patience and professionalism, while being proactive and managing client expectations. Brian’s time-tested, rock-solid selling and purchasing skills eliminate unwanted surprises, and his attention to detail, forward-thinking leadership, and foundation of integrity keep clients coming back.